David Prudhomme is in good company. 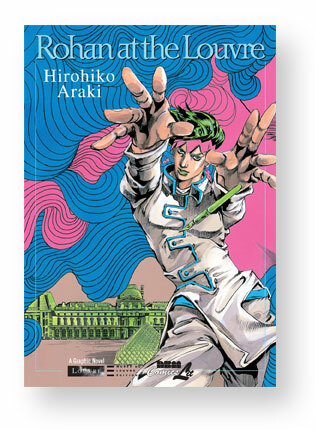 Other creators of The Louvre Collection include the prestigious Hirohiko Araki, the haunting Enki Bilal, the meticulous Eric Liberge, the classically inspired Marc-Antoine Mathieu, the whimsical Nicolas De Crecy, and the unbeatable pair Bernar Yslaire & Jean-Claude Carriere. The Louvre Collection is commissioned by the Parisian museum asking select artists to weave a story of their choosing as long as it involves the museum. The results have been eye-popping. See previews and more here. 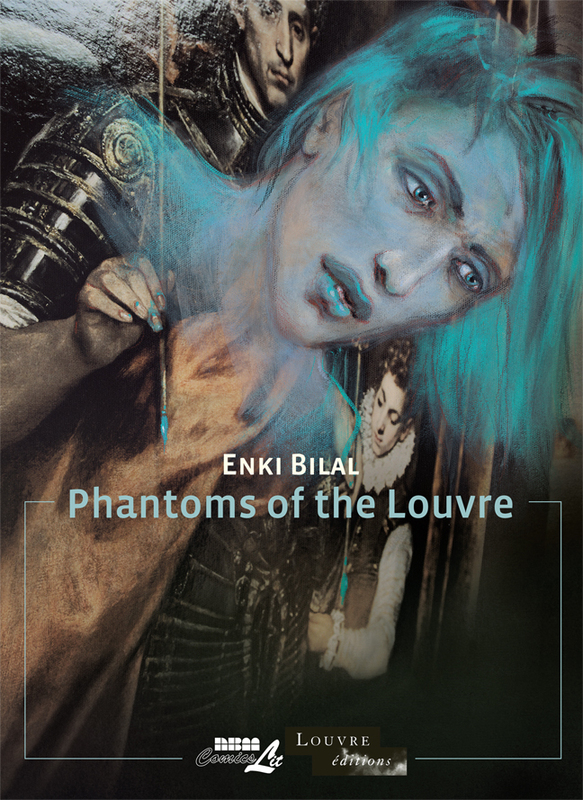 Superstar European SF and Fantasy comics artist Enki Bilal revisits the Louvre in twenty-two portraits… He imagines 22 fates of men, women and children whose lives have been affected by a work of art. 22 portraits for 5000 years of creation. Bilal felt them, wandering the corridors of the Louvre, close to the work that tipped their life: Mona Lisa, the Victory of Samothrace, Christ reclining, an Egyptian mask …Bilal startlingly brings them back to life. Both a work of Fantasy and a masterful homage, this was presented in a special exhibition in the Louvre in early 2013. With this graphic novel, for the first time in the US, ComicsLit brings over the latest enfant terrible of European comics, a mad genius. De Crecy, at the sight of the incredible richness of the museum’s collection was overwhelmed and felt small and ignorant. The result is a story set thousands of years hence in a glacial period where all human history has been forgotten and a small group of archeologists fall upon the Louvre, buried in age-old snow. They cannot begin to explain all the artifacts they see. What could they have meant? Their interpretations are nonsense, absurd, farcical. Those two, they never should have met. In the night, in a long corridor pinned with ancient dreams, they make of this encounter a party. Those two, they must have a gift. We go back to the very origins of the Louvre as a museum: the tumultuous years of the French revolution. It’s the story of a painting of the Supreme Being, ordered by Robespierre from the famous painter David. A painting which was never made. It’s also the story of another painting, that of the young Bara, a 13 year old martyr of the Republic. From the inauguration of the Louvre, former royal palace, as the museum for the people, to the death of Robespierre, this is also the portrayal of the face to face of two major actors of a revolution in a great hurry. Robespierre appears equally enlightened and lost while David accomplishes his destiny: a painter torn between political engagement and artistic ambition. Yslaire, one the great stars of French comics, delivers a stunning masterwork in an epic and disturbing graphic novel seeped in a dramatic and fascinating period of history. This time, the author invites us on a guided tour of the museum… by night… when the works of art come alive. Our guide: a deaf night watchman who somehow manages to communicate with the souls of those ethereal and timeless works of art. A visual tour de force with a strong edge of the frighteningly fantastic. All of these are on sale now. Be sure to order today from your favorite comic book store in November’s Diamond Previews Magazine. Excerpts from the Journal of an Expert. An art assessor must evaluate the vast collections of the Louvre in an alternate Kafkaesque world where all is warehoused in an endless ever deepening succession of basement levels. Mathieu, an artist who marries Escher with Kafka, brings stinging irony to the pompousness of art history. After Glacial Period, another stunning volume. Only available as an e-book presently. While we’re at it, the Louvre Collection is commissioned by the Parisian museum asking select artists to weave a story of their choosing as long as it involves the Louvre. The results have been eye-poppoing. 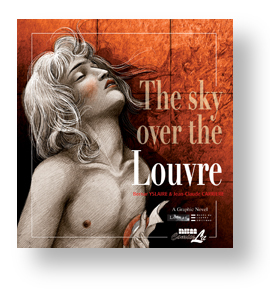 To date, NBM has published six editions of the Louvre Collection. For ordering information, ebook offers, and previews follow the links! 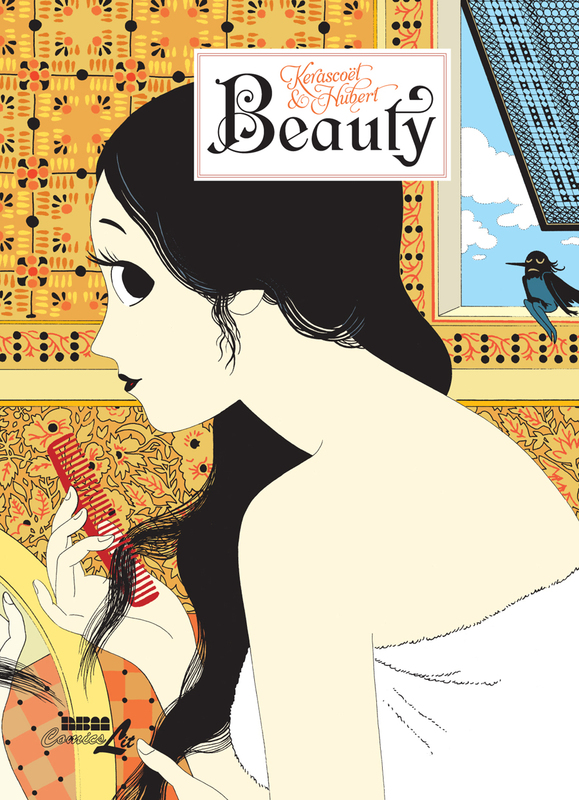 With this graphic novel, for the first time in the US, ComicsLit brings over the latest enfant terrible of European comics, a mad genius, and for the first time, The Louvre museum is involved in a co-edition of a series of graphic novels, each a vision of this great museum by a different artist. 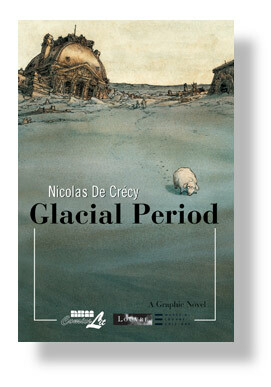 The highly successful series of graphic novels co-published with the Louvre museum in Paris (“Glacial Period”, “Museum Vaults”) continues with its next outstanding graphic novel. This time, the author invites us on a guided tour of the museum… by night… when the works of art come alive. Our guide: a deaf night watchman who somehow manages to communicate with the souls of those ethereal and timeless works of art. A visual tour de force with a strong edge of the frighteningly fantastic. 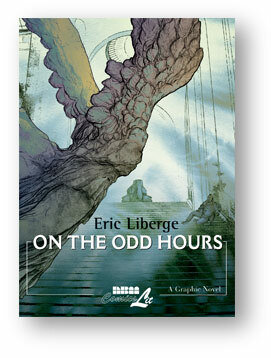 The next volume in the striking collection in co-publication with the Louvre museum. An art assessor must evaluate the vast collections of the Louvre in an alternate Kafkaesque world where all is warehoused in an endless ever deepening succession of basement levels. Mathieu, an artist who marries Escher with Kafka, brings stinging irony to the pompousness of art history. After Glacial Period, another stunning volume. A Great Year For Us: Thank You! Happy 2015! We’ve done well this year, most notably achieving 50% growth in the general trade (general bookstores, libraries, Amazon, and such)! We’re up significantly overall with such successes as Beauty and All Star being warmly received and going back to press rapidly but also with Bilal’s entry in the Louvre collection (we have some major names coming up for this series, stay tuned!) 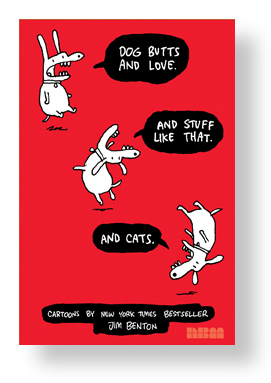 and Jim Benton’s snarky collection Dog Butts and Love. And Stuff like That. And Cats. But we’ve also been building a reliable backlist, as we call it in publishing, with such perennial sellers as Zombillenium (#3 out next summer), The Discovery in Comics series (Religion is next, Fall ’15! 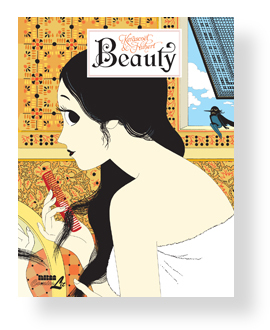 ), the comeback of Dungeon, the Louvre collection and many authors, European and American. Well, goodbye to an excellent 2014 where, thanks to you, NBM turned a significant corner and is on the up and here’s to an even better 2015 for all! 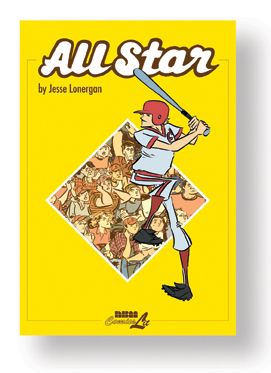 Author Terry NantierPosted on December 31, 2014 Categories BlogTags A Discovery in Comics, All Star, Beauty, Dog Butts and Love. And Stuff Like That. And Cats., Dungeon, Enki Bilal, Hubert, Jesse Lonergan, Jim Benton, Kerascoet, Phantoms of the Louvre, ZombielleniumLeave a comment on A Great Year For Us: Thank You! Happy 2015! 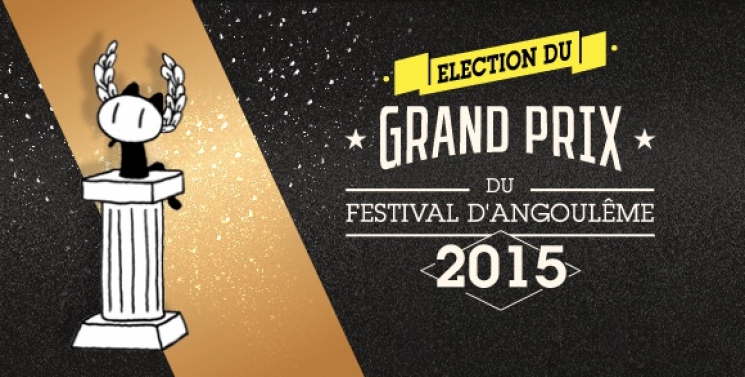 Angoulême’s highest award, the Grand Prix, has announced next year’s nominees. Along with the title comes the responsibility of President of the 2016 festival and the design of the poster. This year’s winner was Bill Watterson, creator of Calvin and Hobbes. Among the list are many NBM greats! 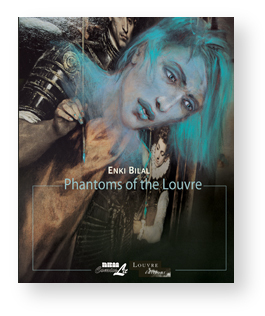 NBM has also published past winners including Enki Bilal ( PHANTOMS OF THE LOUVRE) and Hugo Pratt (THE CORTO MALTESE (also out of print). 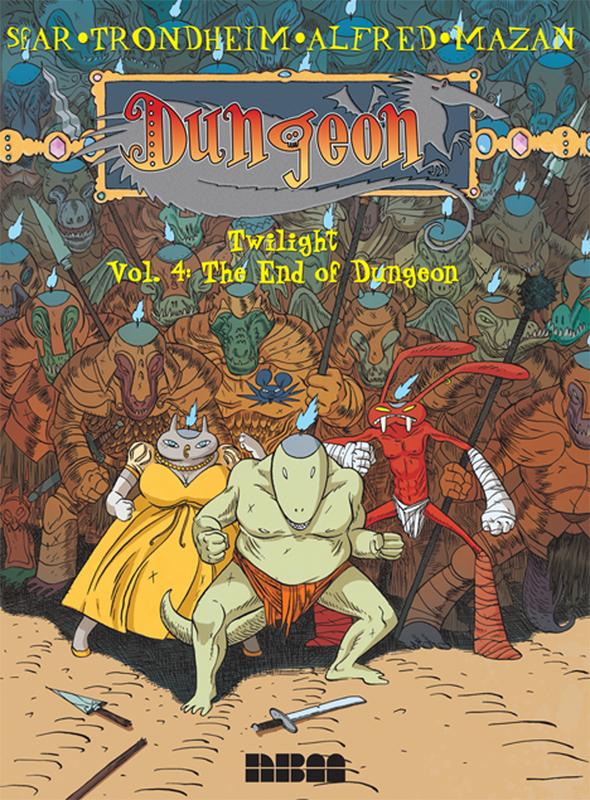 Sfar and his DUNGEON partner Lewis Trondheim both are previous winners of the award. The 42nd International Festival of the Bande Dessinee will be held in Angouleme, France from January 29th through February 1st. The Grand Prix winner will be announced during the Festival. Congratulations and best of luck to all participating. For a full list of nominees, please see the official Facebook of the Festival (in French). 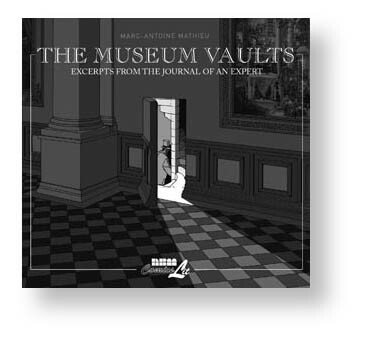 NBM’s ComicsLit imprint has been publishing the remarkable series of graphic novels commissioned by the Louvre calling upon different prominent artists to make up a story around the fabled museum. Here’s what being solicited for in comics stores this month. In our Louvre collection, which now hits the half dozen mark, two bits of news. 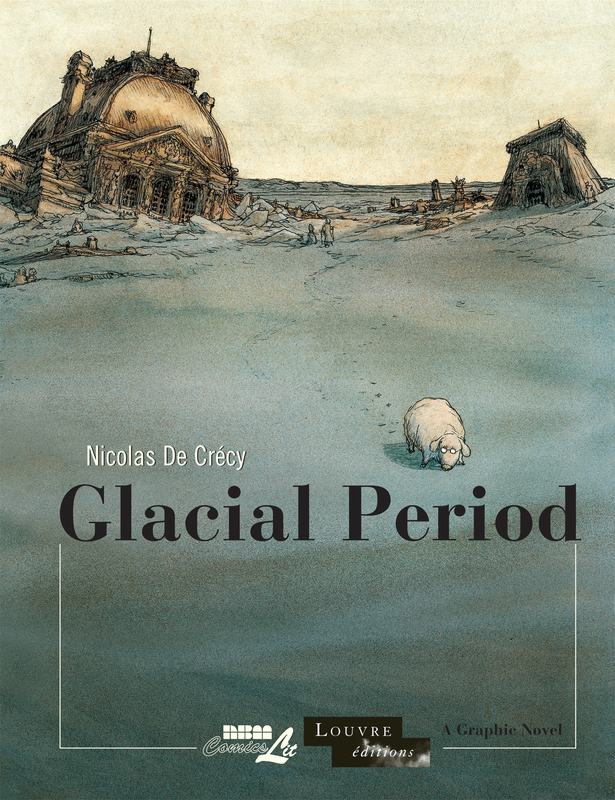 One is superstar fantasy artist Enki Bilal is the next featured author and the other is we bring back Glacial Period in full size as a handsome hardcover. Now that things have evolved in graphic novel publishing to the point where such a format works, we’re taking advantage! 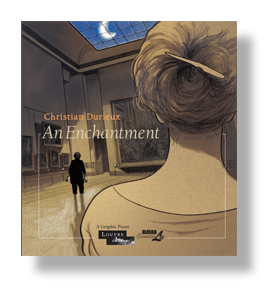 With this graphic novel, for the first time in the US, ComicsLit brings over the latest enfant terrible of European comics, a mad genius, and for the first time, The Louvre museum is involved in a co-edition of a series of graphic novels, each a vision of this great museum by a different artist. De Crecy, at the sight of the incredible richness of the museum’s collection was overwhelmed and felt small and ignorant. The result is a story set thousands of years hence in a glacial period where all human history has been forgotten and a small group of archeologists fall upon the Louvre, buried in age-old snow. They cannot begin to explain all the artifacts they see. What could they have meant? Their interpretations are nonsense, absurd, farcical.